Quality Custom Framing, Creative Design. 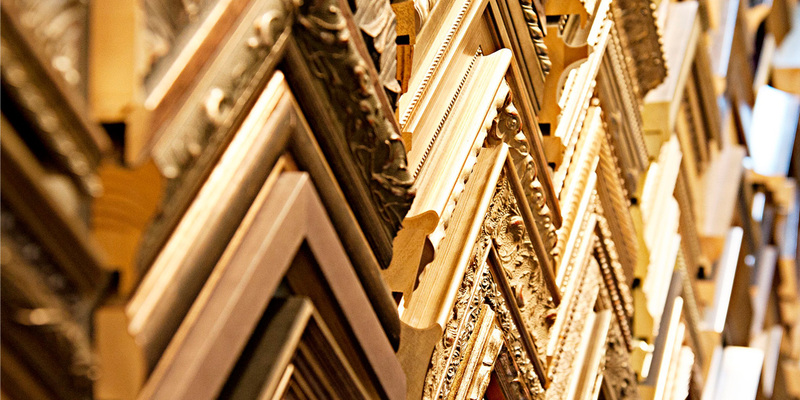 At 17th Avenue Framing we take pride in offering you the greatest selection in quality picture framing materials. 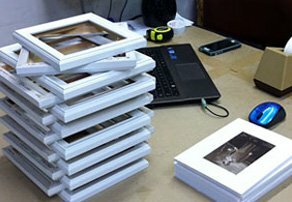 More importantly, we have educated, trained and experienced (EXPERT) framers to guide you through the selection process. We are committed to providing our customers with a rewarding and memorable shopping experience. We stand behind our work and will make sure it meets or exceeds your expectations. Mark Eadie graduated from the Alberta College of Art + Design in 2009 from the Print Media department. His art mainly revolves around black and white imagery including pen and ink illustrations and carved woodblock prints. Mark is co-founder of art collective Ink Smashed Artists, which has allowed him to explore ways of merging his style with 2 other artists. Christine Hoeppner graduated with a Bachelor of Fine Arts from Thompson Rivers University in 2014. 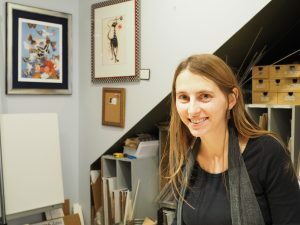 She specialized in copper plate etching, now mostly focuses on painting, ink drawing, and monoprints. 17th Avenue Framing, owned by Bernard Drouin, has been in operation since 1999. This location has been home to a framing business since 1974 when it first opened up under the name U-Frame It. To provide our customers with a memorable shopping experience, while giving them the best possible service, selection, quality, and value. A perfect gift for those difficult to buy for. Comes in any denomination. 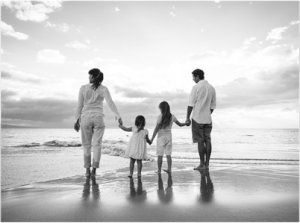 We can help you frame just about anything, from family photos to an art masterpiece. Our experienced staff will guide you through the designing process to ensure the framing is a reflection of your style, fits with your home decor, and within your budget. No worries, we know what questions to ask. 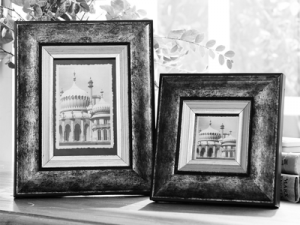 There are times when you need something framed right away, you have come to the right place. 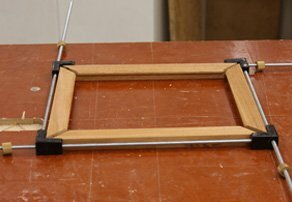 Contrary to other frame shops, we cut and join all our framers in house making it possible for same day service. 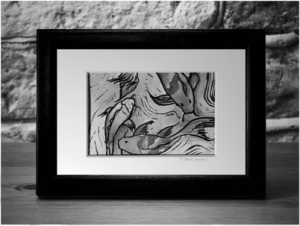 We stock mats, frames, and glass, allowing us to offer you a creative design. For the past 15 years we have had a successful working alliance with local couriers. The courier can pick up and deliver anywhere within the city of Calgary. 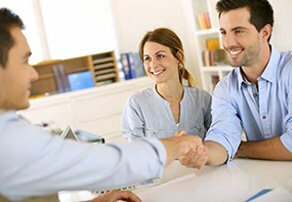 Professional and reliable service can be counted on. Bernard and Mark are skilled installers with twenty years combined experience. Some installations are best left in the hands of the experts! 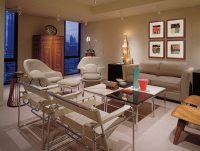 We provide volume framing services to many clients, from multinational corporations, oil and gas companies, hotels, restaurants, and retirement homes to art collectors. 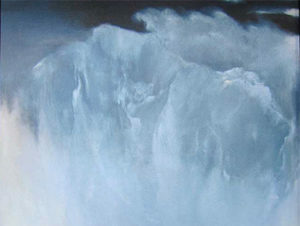 Our same high standards and quality for framing individual art are extended to larger volume work. 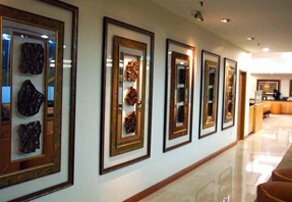 17th Avenue Framing is ready to assist you with your corporate framing needs. You need certificates framed for your employees to have displayed professionally in their offices, art for the boardroom to make a statement, or add style to your hallways with a multitude of framed art, you’ve come to the right place. We can recommend framing and installation options and also re-frame and repair existing inventory. We are able to customize a plate: Any size and font. Available plate colours: Brushed silver, gold or bronze, or a black plate. Some custom plate ideas could be for a retirement, congratulation gifts, sports and other framed memorabilia/collectables, or company logos. 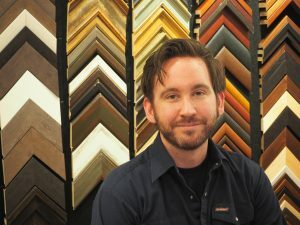 At 17th Avenue Framing we have been working with the Calgary design community for years. 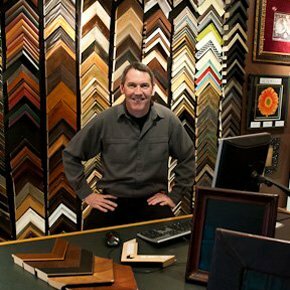 Interior designers, architects, decorators, home builders, artists and art collectors, they choose to work with us because we are uniquely qualified to deliver exceptional framing and service. From a single art piece to an entire home or office project, or to an entire collection, we are here to offer guidance and solutions. 17th Avenue Framing has framed for different movie sets filmed in Calgary. 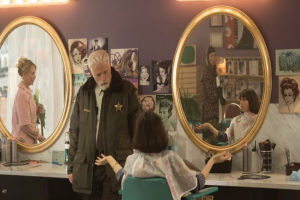 Some of which include: Heartland, Tin Star, Fargo Year Two, and Wynonna Earp. 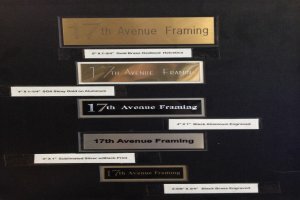 Your email will be used solely by 17th Avenue Framing.